Teaching the Maronite Catholic doctrine in a positive and objective manner that encourages discussion and exploration of the faith. Teaches Maronite Catholic doctrine within the context of the Church’s history and tradition. Our Catechism classes typically begin in September and end in May of each year. Catechism not only helps our children grow in love and service to Our Lord, but also prepares them for Holy Eucharist and to be of service to their families, parish and community. 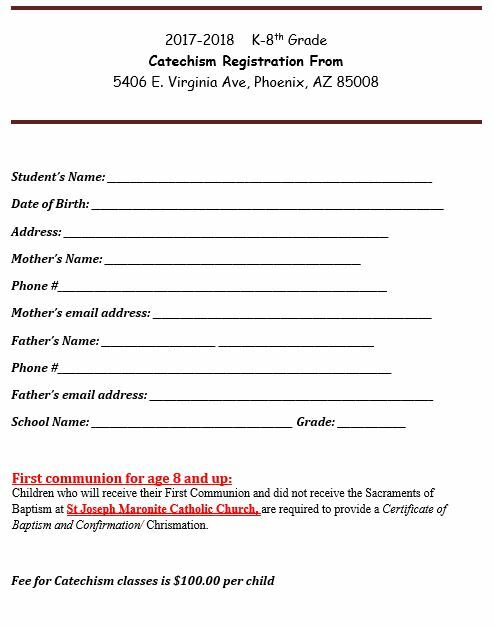 To enroll your child in Catechism, please complete the registration form and turn into the parish office prior to the start of classes in September. The registration deadline for the current year will be posted on the website. The registration fee is $100 per child with the third child free.